For those of you in the market for the perfect summer gown this season, let me call your attention to a designer and high street solution. This Erdem dress is a solid favourite in the fashion world this season. What's not to love about a dress that has everything? Stripes, ruffles, bare shoulders and a luxurious fabric all make this dress an absolutely essential piece in the luxury wardrobe for summer. 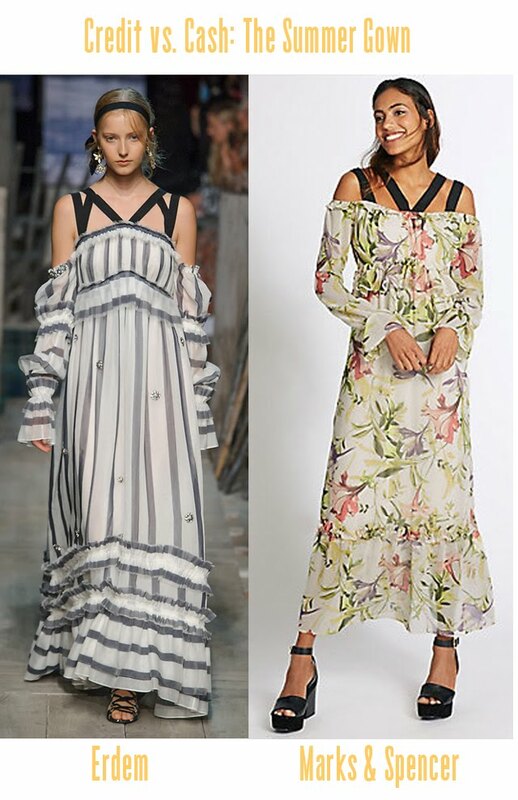 If you're feeling a bit squeezed with budgets going into summer, there's a similar vibe happening over at Marks & Spencer with a floral dress that's also giving a good cold shoulder and some fab ruffles!